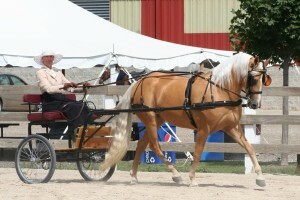 International Morab Breeders' Association | Villa Louis Carriage Classic Success! Villa Louis Carriage Classic Success! 13 Nov Villa Louis Carriage Classic Success! Wes Licht and his Morab mare, RL Rosali represented the Morab breed well at the 2018 Villa Louis Carriage Classic. The elegant pair won the overall country vehicle championship along with winning and placing well in many of the classes within the division. This premier driving event hosts competitors from all over the region, Midwest, and beyond and is home to top notch competition. RL Rosali continues to demonstrate the refined elegance and skill of the Morab as a driving horse.